Learn how to blow dry your own hair like a pro! 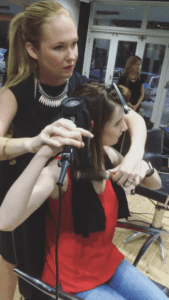 This month was the launch of our in salon workshop nights, and the girls loved it! We will be running a series of these evenings throughout the year to help our clients re-create all the best in salon looks at home with personalised one on one education. Contact the salon to find out the dates of our next upcoming hair workshops! PROFILER HAIR DIAGNOSIS by Kerastase. 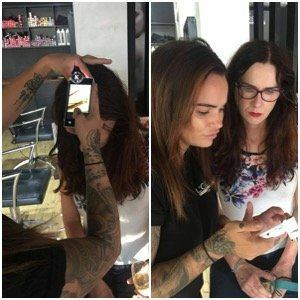 This unique camera zooms in and magnifies hair up to 600 times to read the needs of your scalp and hair fibres, leaving you with an in depth diagnosis of how to best treat the needs of your hair. After performing the professional hair diagnosis, our stylist will create a customized Fusio-Dose ritual – a mix of super concentrated, blended active ingredients for personalized care, designed to instantly and lastingly transform your hair.